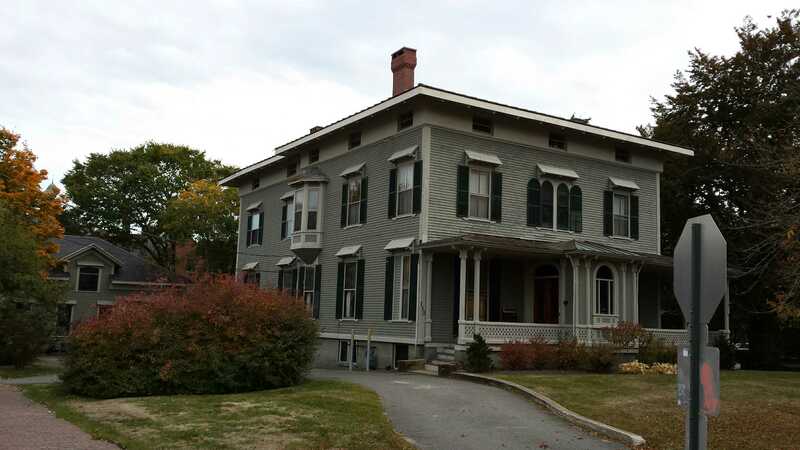 Built for the scion of the Portland industrialist and financier, John Bundy Brown, 113 Vaughan is a 2.5 story Italianate in a ‘traditional’ mode of a symmetrical block supplanted with extensions for services and such. It’s a form we have seen just down the street in the Peter May house for example. It was though, a change for the architect in that it’s of frame construction. Most of Alexander’s work that survives is of brick and stone construction. The house sits in the center of a nicely sized lot and has a substantial drive sweeping up to the entry and on to the carriage house. The entry or entries are uncommon. Although centered in the house as would have been traditional, here we have access from both ends of the porch to a central pavilion with double doors on both sides. This arrangement can be seen in the 1924 tax photo. Absent any earlier documentation, it’s originality cannot be determined. It may well have been Alexander having to resolve an issue specific to Brown’s needs. As noted, the house is of frame construction. It is clapped and has minimal trim. 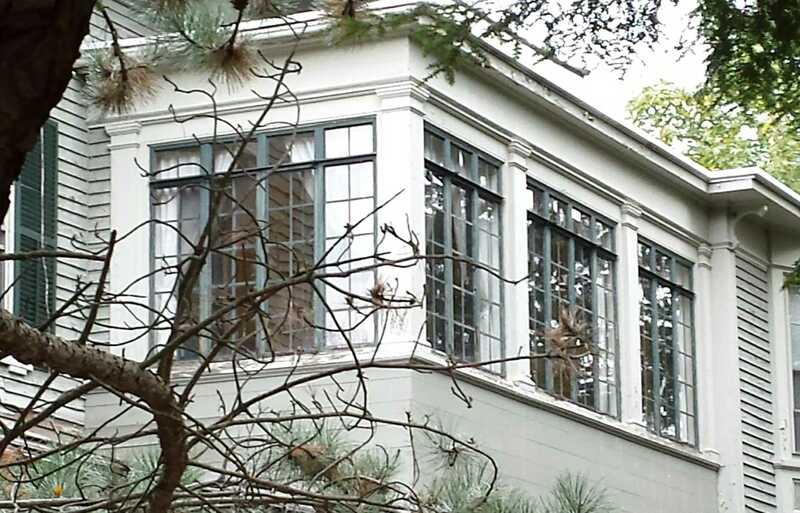 The windows are plain but for the entry bay and have unadorned hoods above them. The frieze at the third floor level is plain and there is not even a hint of brackets or any such detail under the strongly projecting cornice. The trim work under the second floor oriel is interesting if a bit busy. The way the left side over rides the corner board and the failure of alignment in the first and second floors is jarring and seemingly out of character for the architect. The opposite or lawn side of the house presents a more appealing view. 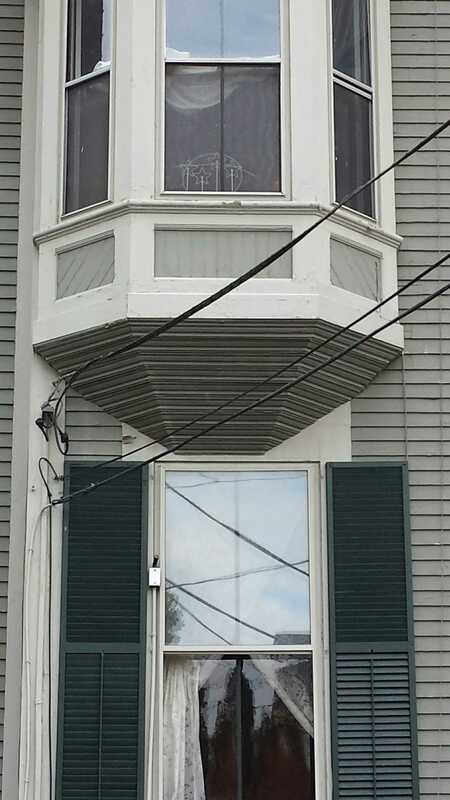 I find the details of the second floor porch to be quite inviting. 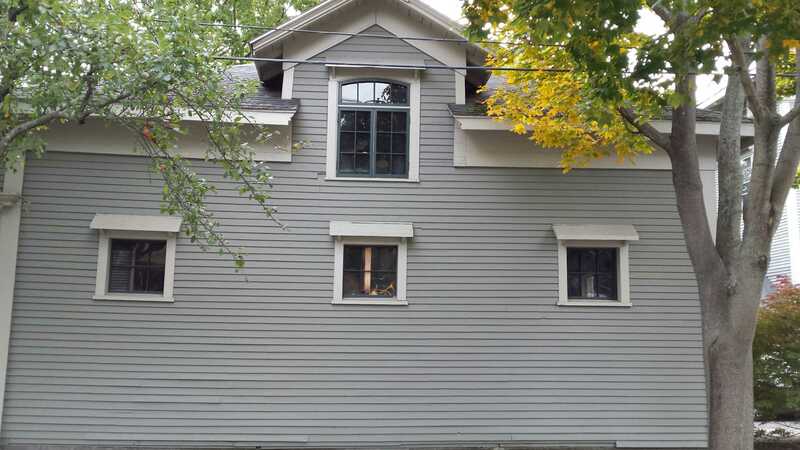 I also wonder if the matched siding may have been the original siding on the entire house. It would have been more fitting to the style. John Marshal Brown was, as noted, the son of John Bundy, JB, Brown. JB was an early pioneer in domestic sugar production and became incredibly wealthy from it. 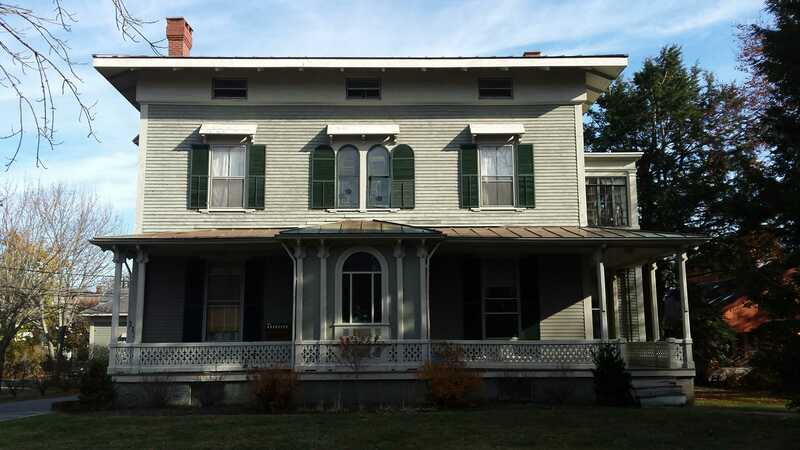 By the time of our subject house, the family firm had diversified into real estate, banking and industry. JB lived nearby in his mansion, Bramhall. Also designed by Charles Alexander. John M Brown served in the Civil War. He received what were thought at the time to be mortal wounds at Petersburg in June of 1864. He would recover obviously but was discharged with honors. He would return to Portland and join the family firm. Beckett lists him at the address in 1873. He died in 1907. A biography of JM can be found here. 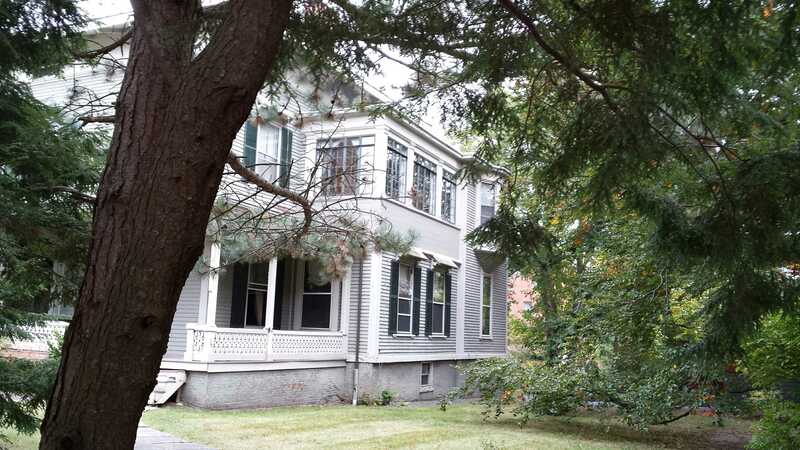 Tracing the ownership history of Brown properties in the West End can be difficult. 113 Vaughan seems to have been purchased in pieces from James’ niece and cousins. By the time of his death, he was residing in Falmouth and our subject house was owned by the WH Clifford Company. James’ sister, Ellen, having married William H Clifford prior to 1868. In 1909, the property was sold to Frank D True. The True family had been wholesale grain, flour & produce merchants on Portland’s waterfront since the end of the civil war. Frank D True owned several apartment properties in town while running a retail produce business at 217 Commercial Street. The 1890 Portland Board of Trade Journal lists him as a director of the Fidelity Trust Bank on Congress Street as well. Frank’s estate sold the property in 1948. A full 20 years after his death. The current owner is former gubernatorial candidate. The current use is as apartments. 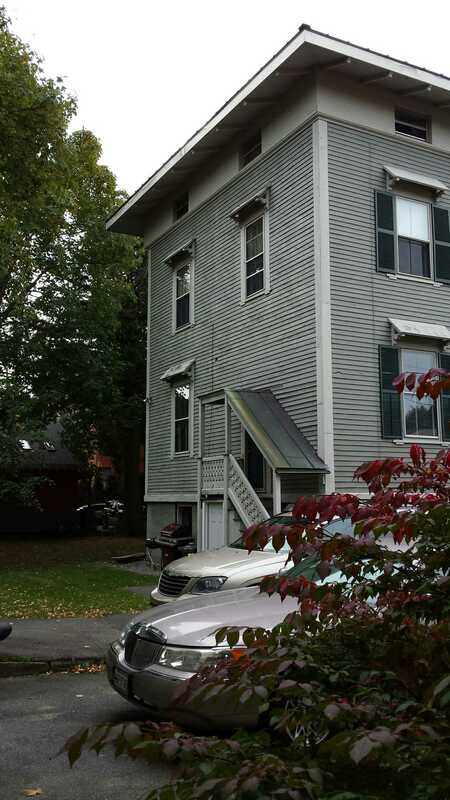 The carriage house is period but it too seems to be lacking in coherent design and details. 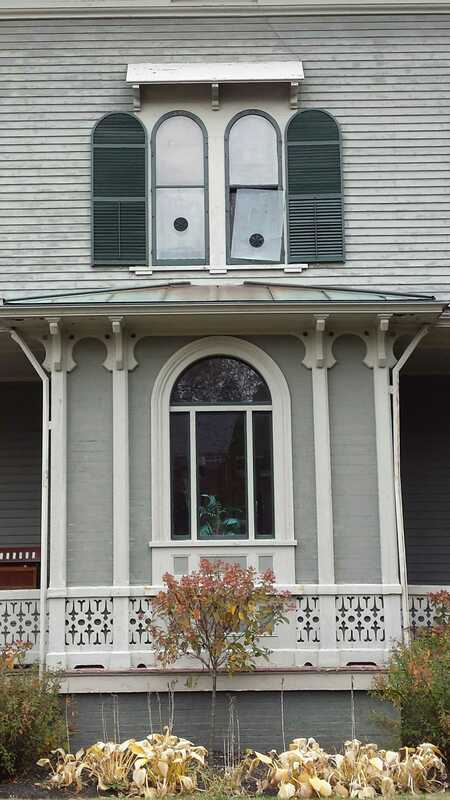 The window in the gable is a nice touch.